Here is a little review of the game rules. At first you can play in three different modes with 3, 4 or 6 players. In any case you'll have 36 cards to play. First turn makes a player with a Nine of Diamonds, next player can make his move with Eight of Diamonds, Ten of Diamonds or Nine of any other suite. 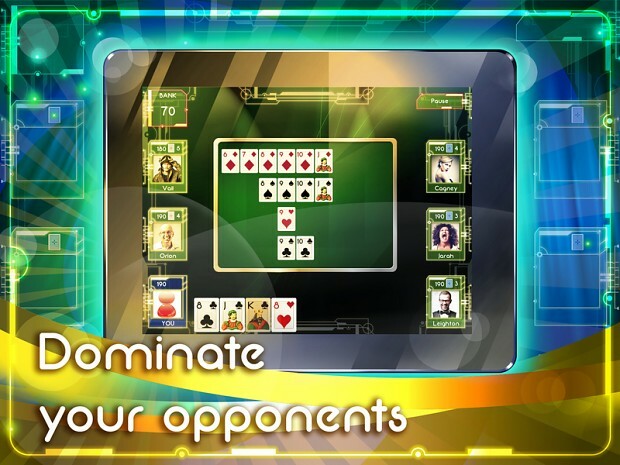 Next player can choose a lower than the lowest card at the table, or higher than the highest. The game ends when some player have no cards at his hand. You can share your gaming experience with us here, or at the iTunes page.